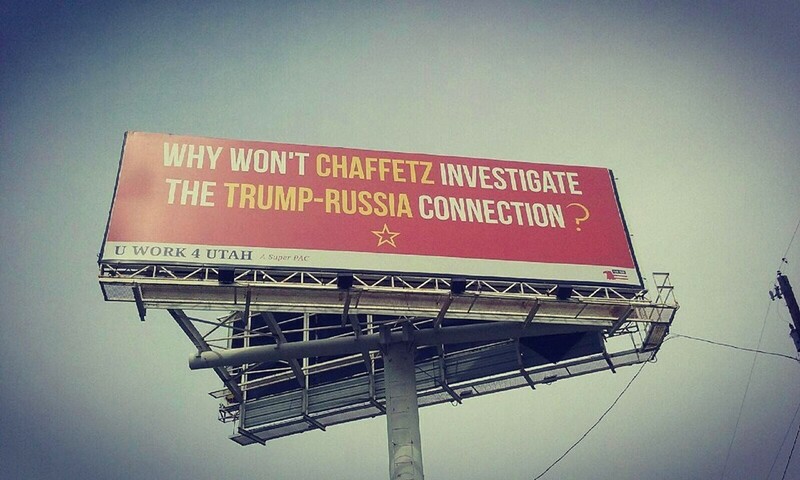 If the chants at Rep. Jason Chaffetz’ town hall weren’t clear enough, perhaps a bright new billboard will grab his attention. The grassroots organization, U Work 4 Utah, paid for a billboard that went up Tuesday in Provo. 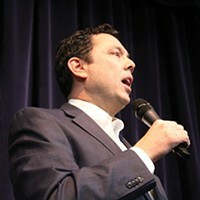 On a Soviet-red backdrop it asks: “Why won’t Chaffetz investigate the Trump-Russia connection?” The question mark is a Russian sickle. 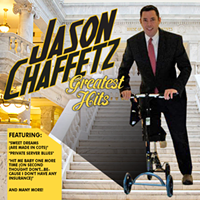 “We’re just a group of Utahns who are concerned that our representative, Jason Chaffetz, is not using his position on the Oversight Committee to look into Trump’s dealings with Russia,” says U Work 4 Utah member Chris Voros. The organization raised more than $11,000 for the billboard through online crowdfunding. It is located north of the Provo Center Street exit along Interstate 15 headed northbound. Voros says the group is nonpartisan, and, citing poll numbers, he notes that a majority of the state agrees with a probe into Trump’s ties to Moscow. 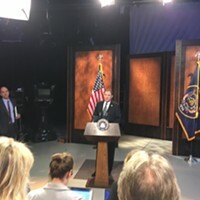 The Salt Lake Tribune and Hinckley Institute of Politics released a study in January that showed 65 percent of the state supported an investigation, compared with 31 percent who opposed.